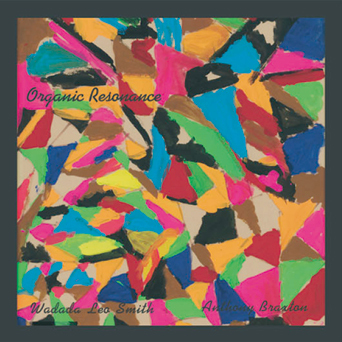 This is the first full duo recording of Wadada Leo Smith and Anthony Braxton ever. There have only been three times that the two have actually performed as a duo. The previous times were in Chicago and France. Some 30 years later, on April 5th, they played to a sold out house at Tonic in New York City. The subsequent recordings document two composers who have known each other for 4 decades playing each other’s music with the respect and level of communication that comes from years of association and admiration. The duo performance in jazz has almost become a separate branch of the music. The intimate nature of the performance that comes from just two minds playing together has produced some of the most dynamic and subtle albums in jazz. With this CD Wadada and Braxton accomplish nothing short of redefining that language as we know it. Braxton, as always, plays with a force that few people can equal. His lines and thoughts stream from his instruments so quickly and with such clarity and authority one can hear the history and future of music in just one statement. Braxton’s endless approaches to improvisation and multiple languages are all on display, as each of his lines contain different dimensions and aspects that separate one from the other. Wadada’s approach is a contrast to Braxton’s stylistically. Following his own musical directions, Wadada takes it where he chooses, and as one witness that night said he even makes silence groove. The subtleties in his playing reveal themselves with repeated listens here. Harmonics, long tones, exploring the trumpet itself; Wadada’s playing never imitates or follows but perfectly compliments his partner’s. It seems after a while that he sets the foundation on which Braxton builds. With ever move Wadada and Braxton explore the limits of their pieces.